These trending landscape features are great for your garden and the first thing that you should look into is the layout. Although seemingly complex, landscaping is not that hard. So, if you design your landscape using these easy tips, the results are guaranteed to be amazing. In the following text you’ll find some great ideas for your landscape designs. One great idea for a unique landscape design is to include an antique in it. However, antiques are often too expensive. Therefore, you can search for one in a local auction house. Great ideas for such an antique are the wheel of a water windmill or an old spinning machine, if you have a smaller space. Can we all agree that every garden needs a focal point? Of course, you can make a fire feature or a fountain your focal point. But if you don’t want to spend so much money there are other ways, too. You can always search on the flea market for an urn, for example. It doesn’t need to be an expensive stone urn, like the one on the picture. It can be an old rusted cast iron urn and you can easily turn it into a beautiful focal point for your garden with just a little paint. For a graceful entrance way you can mark the main gate with an arched wooden arbour. Search for one in an independent garden centre. Or if you’re an enthusiast, build one. Here is how. Tip: If you’d like to find high quality garden furnishings at rock bottom prices be sure to visit your local garden center in the fall. 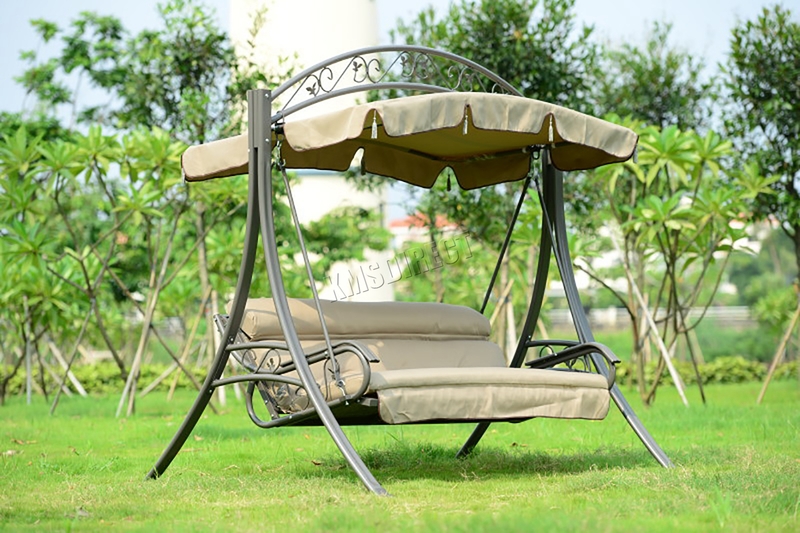 Stores are making space for winter inventory then, so patio furniture is usually steeply discounted. A beautiful walkway can be a perfect addition to your landscape design. You can use different types and colours of paving material and create fascinating forms and figures. It all depends on you and your creativity. People trying to create their landscape design on a budget should consider using pea gravel. It is the cheapest and most durable paving material. 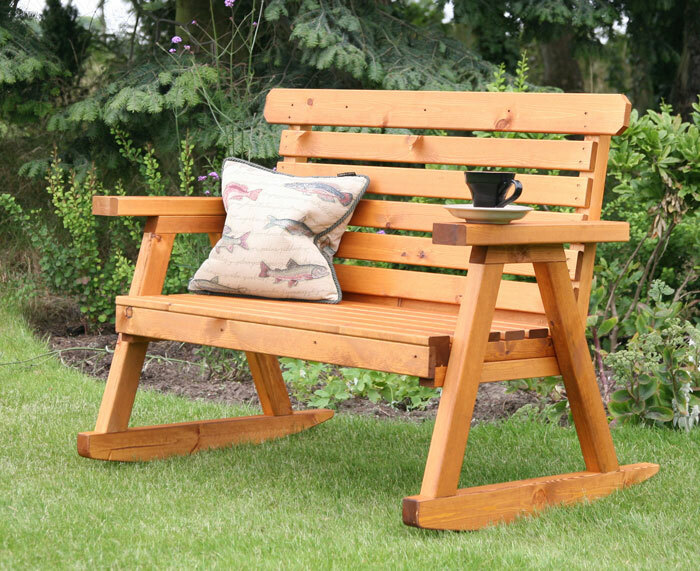 If you want to relax in your garden, be sure to include comfortable seating. By having a seating area, you can turn your garden into a real sanctuary. 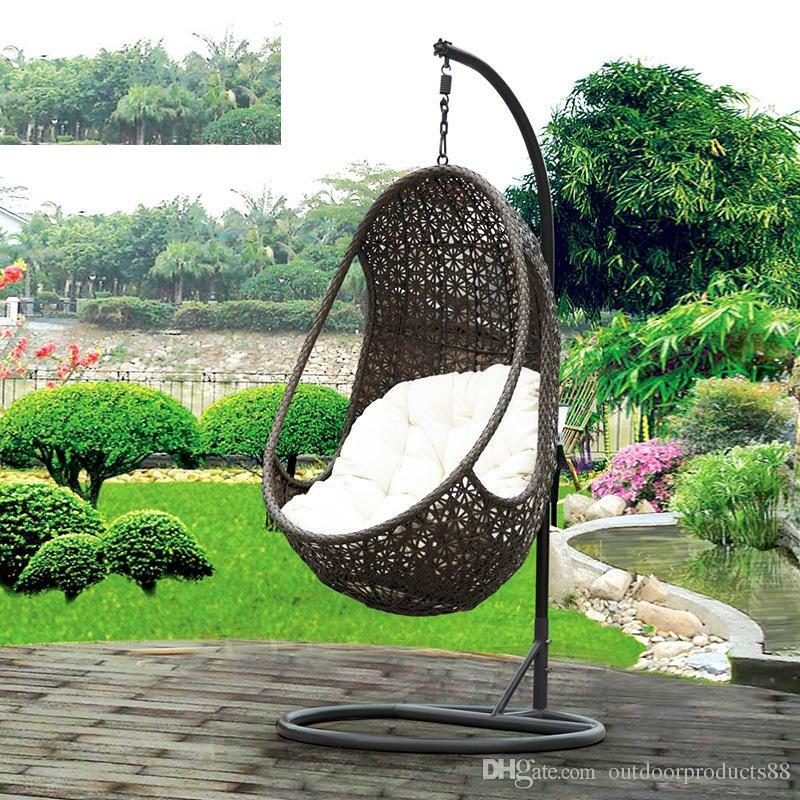 A rocking bench, a garden swing оr a hanging chair are must have items. If you’re a modern family, you need to include a playground for your children in your landscape design. Although some people might think that it would ruin the overall tasteful look of the garden, this is rarely the case. Children can make it even more beautiful and welcoming. Garden ceramic decor is a must have for every landscape. Just don’t use too many ceramic figures. Otherwise, people would think that you have some kind of obsession with them. One or two items are enough for small gardens. Make it look tasteful. If you have a porch and you’re wondering how to tie it with the garden, here is how. The easiest way is just to decorate it with some plants. Put pots with flowers on both ends of the stairs leading to the porch and plant containers on the porch itself. Finish with some hanging plants. Thus, you’ll make it look like part of the landscape. Simple as that! An essential part of having a beautiful landscape is mowing the lawn as often as necessary. Professional gardeners recommend the first time you mow your lawn should be in the spring. Subsequently, you should mow it every 1-2 weeks, depending on how much rain there’s been. А pet can be the cherry of your landscape design. Animals are not usually recognized as part of the landscape. But metaphorically speaking, they are part of it. Having a pet is a great idea, because it will bring life and joy to your garden. Plus, it looks so natural. If you’re at the first stage of designing your dream landscape, now is the time to plant a tree. Years will pass before you can see the result of your hard work, but it will be worth it. I promise! Seeing a big, old, magnificent tree is so satisfying. It makes you feel like this tree has many, many stories to tell. It can be a fountain or a pool, depending on your tastes and preference. If you’re into more traditional, sophisticated designs, a fountain in the middle of the garden is a perfect choice for you. It makes the whole picture more complete, and it makes it even look unrealistic. Like it’s a landscape from a movie or a book. On the other hand, if you like more contemporary designs, a pool is the more appropriate choice. The benefits of having a pool are many, but the biggest one is having some quality time in it with your family. Whatever you choose just make sure you have a water feature. It is an essential part for every landscape. Another great idea for a breathtaking landscape design is the fire feature. You can find some great design ideas here. The most important rule about having a fire feature is finding its right place. It shouldn’t be anywhere near plants. 1.5 meters distance from any shrubs, trees and fences is a good idea and the absolute minimum. Of course, if you have a small space or a tiny budget. you cannot include all of these items in it. Even if you have advantage of both, you still can’t. The landscape would look overburdened and distasteful. Best idea is to choose a few of them and arrange them according to your taste. And don’t forget to have fun while doing it! If you need more than your own creative hands to do all the work then there is always the option of hiring a consult or professional service. Jane Clarke is your go to expert when it comes to all things garden and outdoors. She is a content writer for a well known landscape company Fantastic Gardens Melbourne.